RM39++ Ala Carte Buffet and Nurungji Tongdak only at Hwa Ga!! 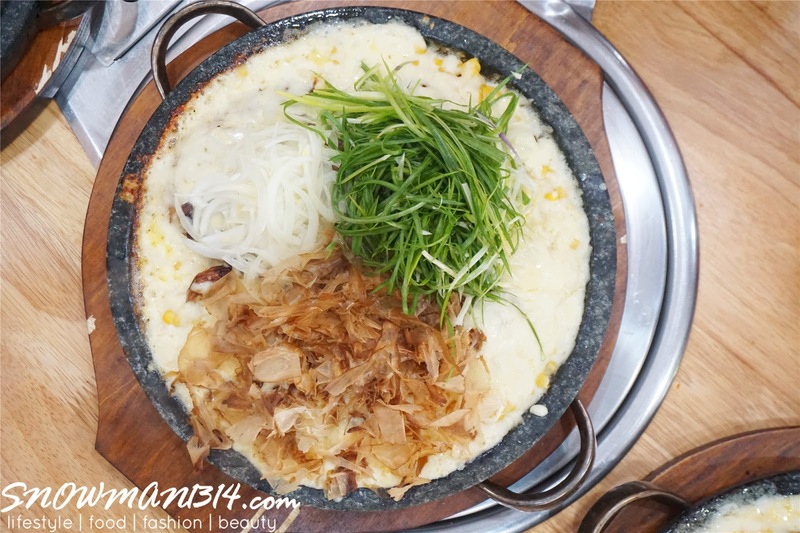 My first food review after Chinese New Year, I miss Korea BBQ ever since too. Finally got the chance to eat here at Hwa Ga! 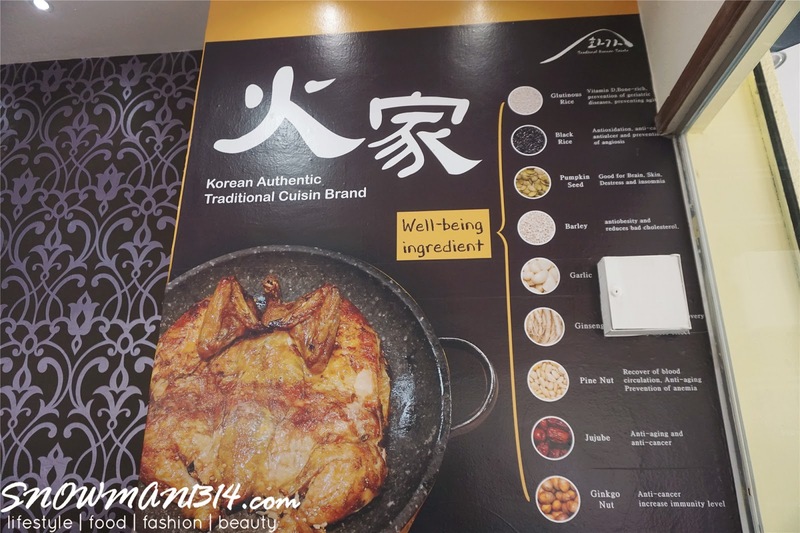 In Hwa Ga they offer their Ala Carte Buffet and Nurungji Tongdak here, I can tell you that their Ala Carte Buffet comes in really sumptuous serving which I believe you can enjoy and eat till your stomach full and most importantly the price for the ala carte buffet is really cheap too! Ala Carte buffets mean you can freely order all the more than 30 types of ala carte food option here at Hwa Ga. 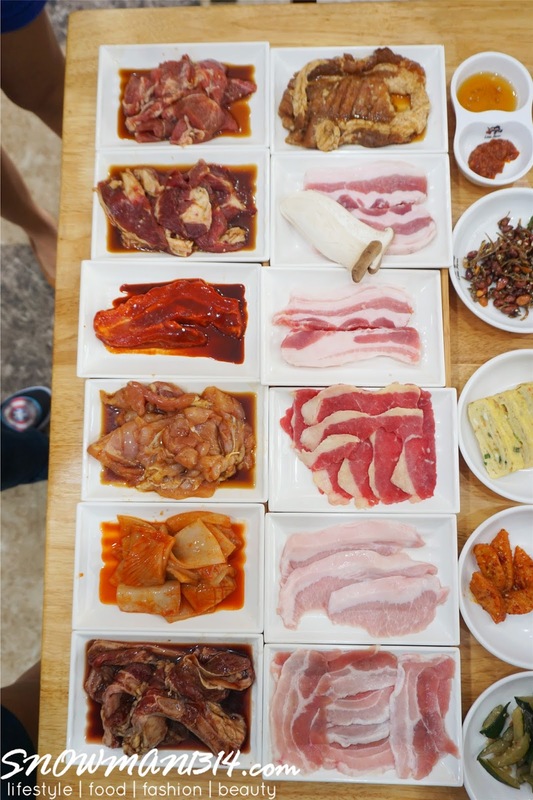 This including all the bbq meats, such as squid, beef, chicken, and pork too. You can order as much as you can as long you can finish it all since this was a buffet style dining experience. What's more, the price is really cheap too! The price is not including 10% service charge. All their serving is really fresh and big too. I can't believe that with less than RM50 per person you can enjoy 2 hours dining eating Ala Carte and BBQ buffet at Hwa Ga. Not only that upon dining, you'll get one special gift for each table as well. *Special gift is subject to stock availability and terms and conditions apply. 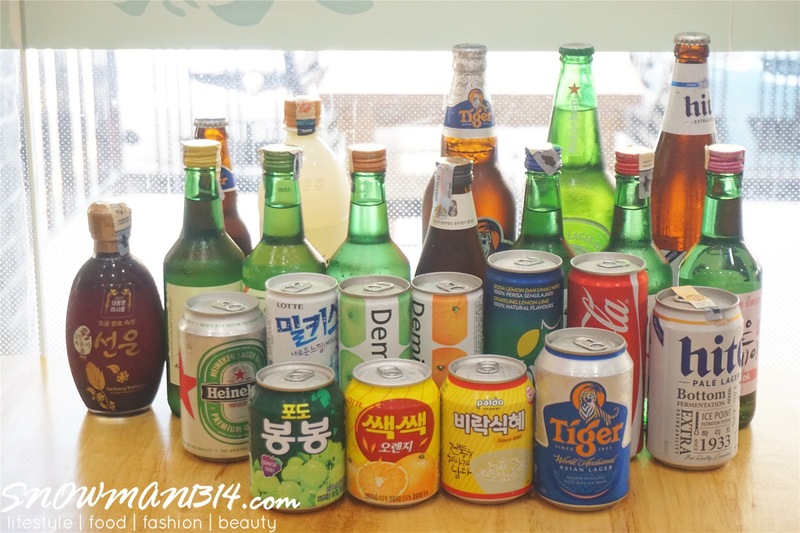 You can choose drinks from Tiger to their Rice Wine drink with different type of taste. Besides BBQ, so while you are waiting for BBQ you can check out their ala carte menu and eat up too. 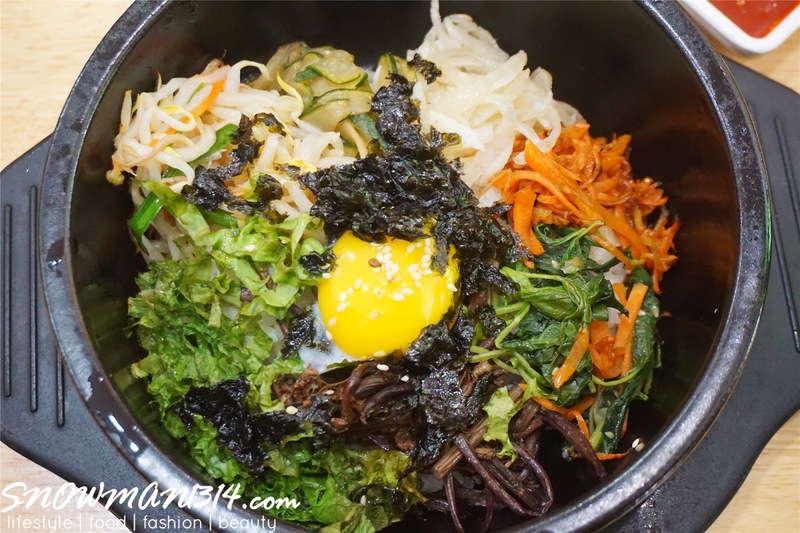 Let's go through their ala carte buffet food available to order in Hwa Ga.
Bibimbap where you can mix all the vegetables, egg and rice together. 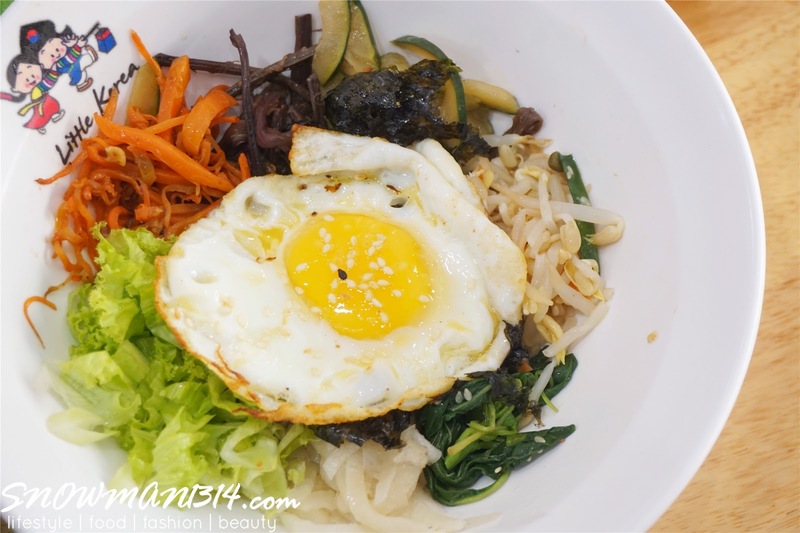 You can choose the normal bibimbap serve on a plate or serve in a hotpot base on your liking. Two flavour of fried pancake order base on your liking. 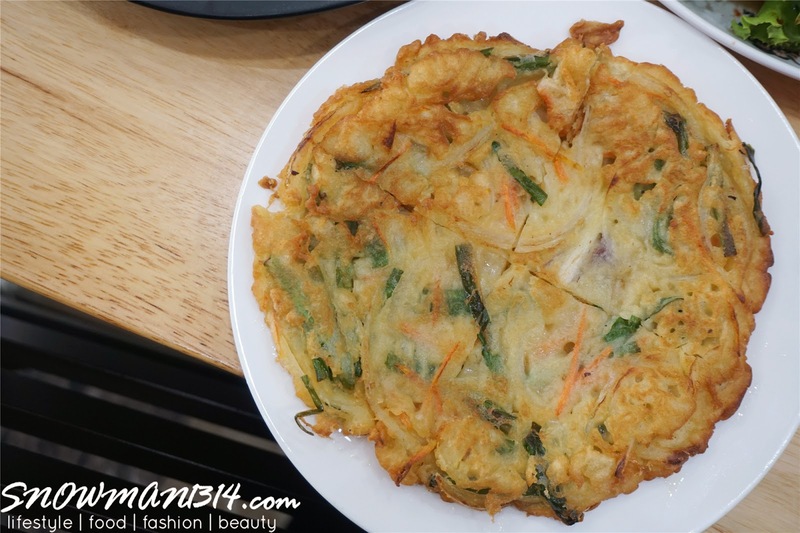 The non-spicy one will be Seafood Chicken Pancake and the spicy one will be my all time favorite Kimchi Pancake! 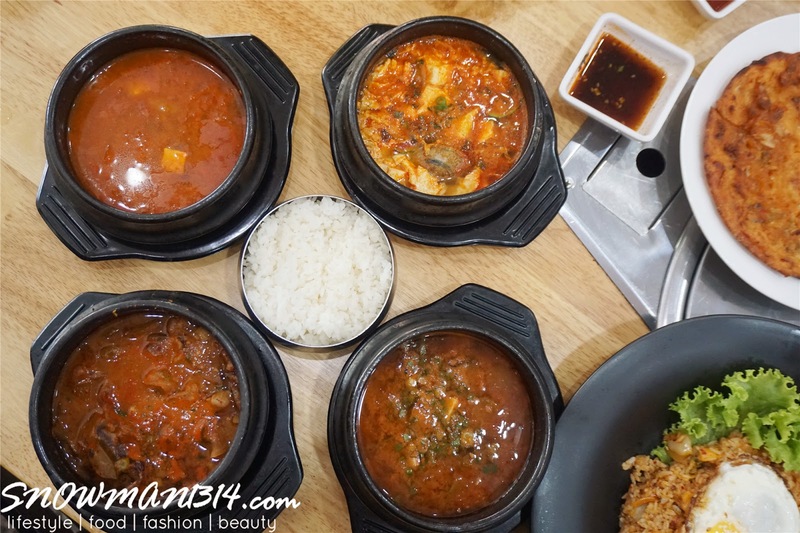 4 types of stew that you can order too! 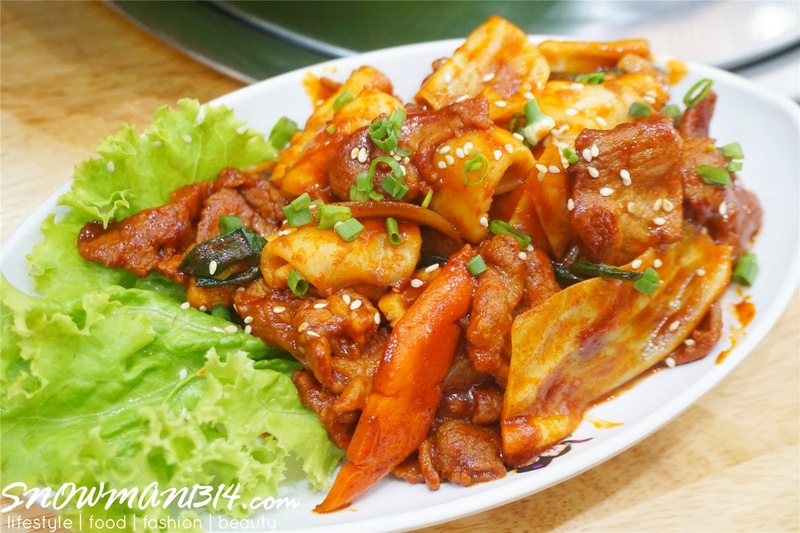 I prefer the soybean paste stew with beef which is more tasteable and loves the fragrances of the beef cook in the stew. 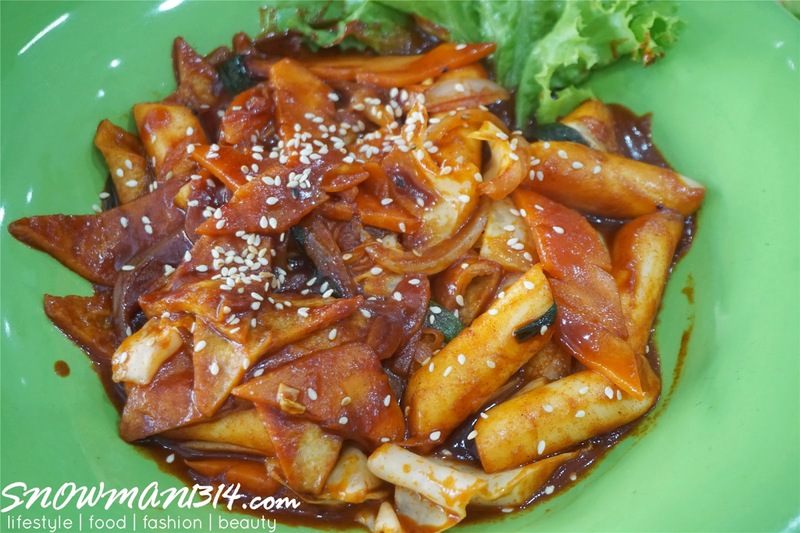 If you are not a beef lover, you can enjoy their soybean paste stew too. It tastes just the same favorable stew that I like! Eat all you can people!! 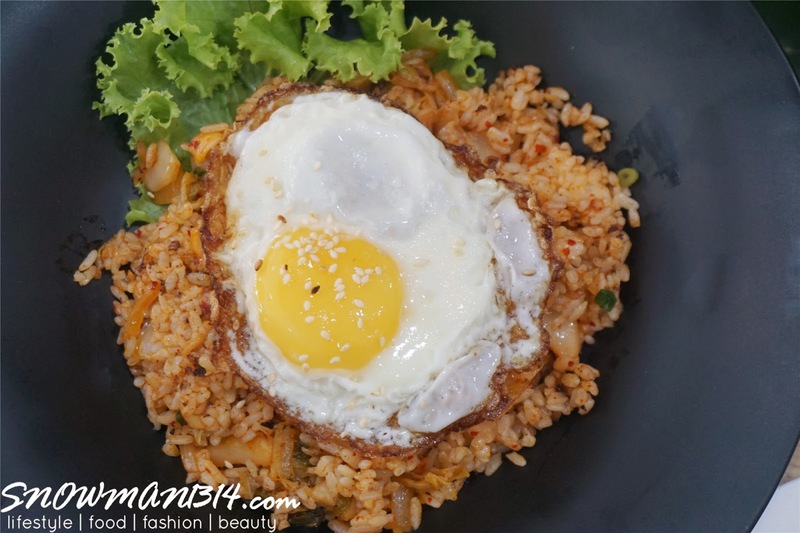 RM39++ only for lunch time dine in and RM45++ for dinner dine in. Time to serve up the BBQ meat up! 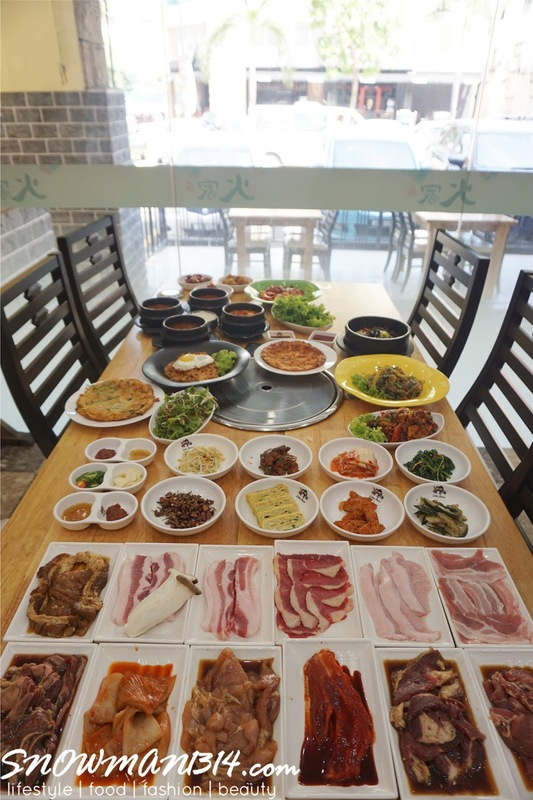 All their BBQ serving are huge and fresh too, super juicy bbq meat which you can enjoy yourself very much. 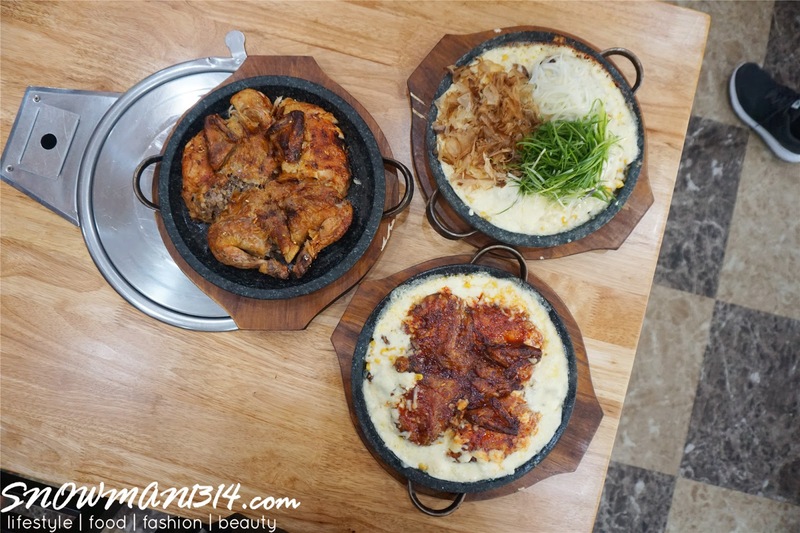 Since I am much a BBQ lover, eating at Hwa Ga definitely can help fixing my BBQ craving! 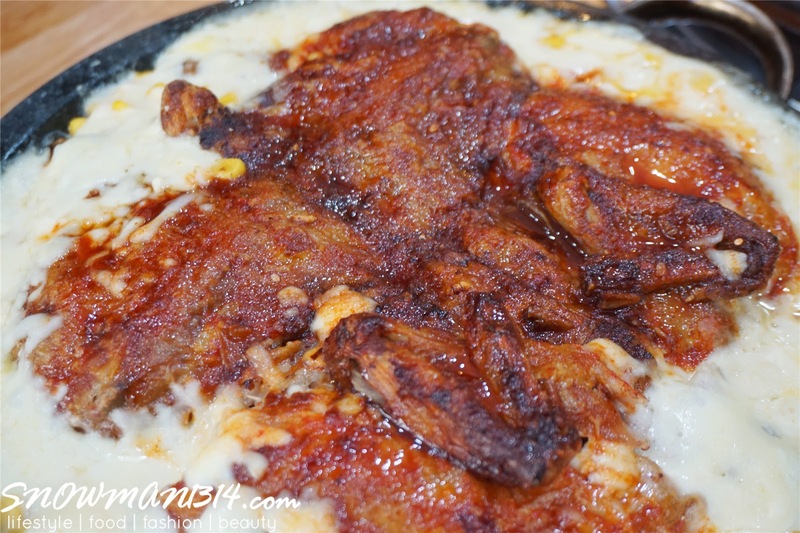 Next up, will definitely need to introduce this finger licking good Nurungji Tongdak in Hwa Ga.
Nurungji Tongdak refers to a traditional Korean food made of scorched rice with roasted chicken. 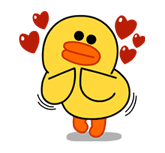 Furthermore, it consists primarily of a whole chicken filled with Glutinous rice, Black rice, Pumpkin seed, Barley, Garlic, Ginseng, Jujube, Ginkgo nut and pine nut. 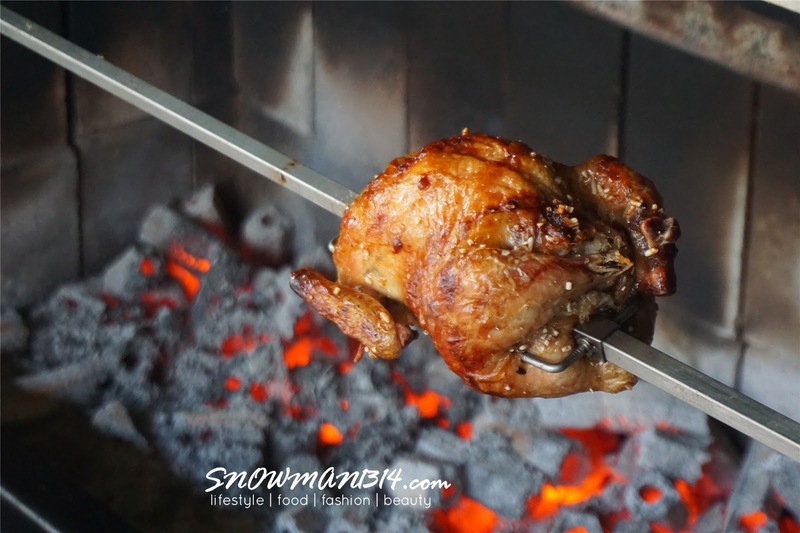 It's cooked in the fire oven for at least one and half hours to make the chicken oil to become balanced. 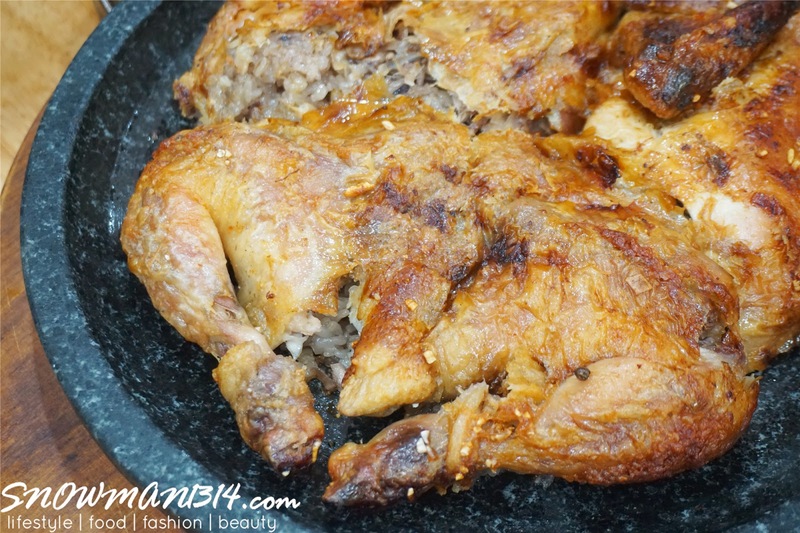 Roasted with charcoal it helps to lock the full protein and juicy tender meat inside the chicken. 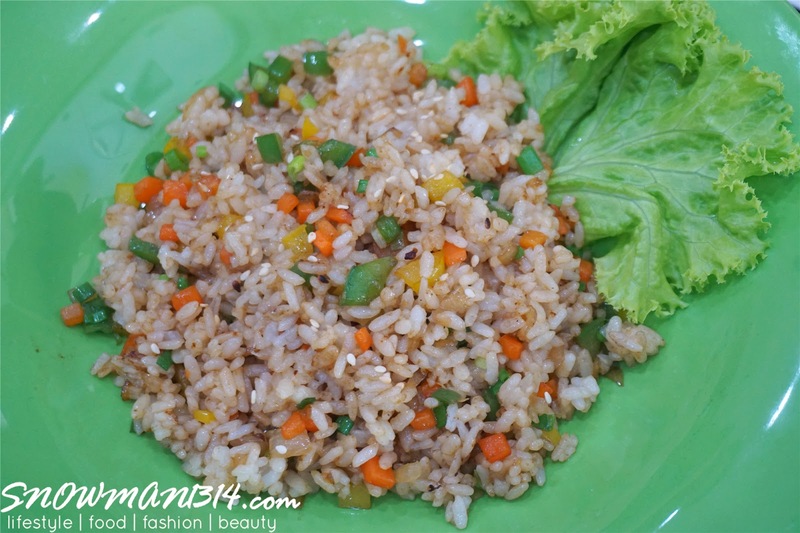 Each Nurungji Tongdak is stuff with scorched rice. 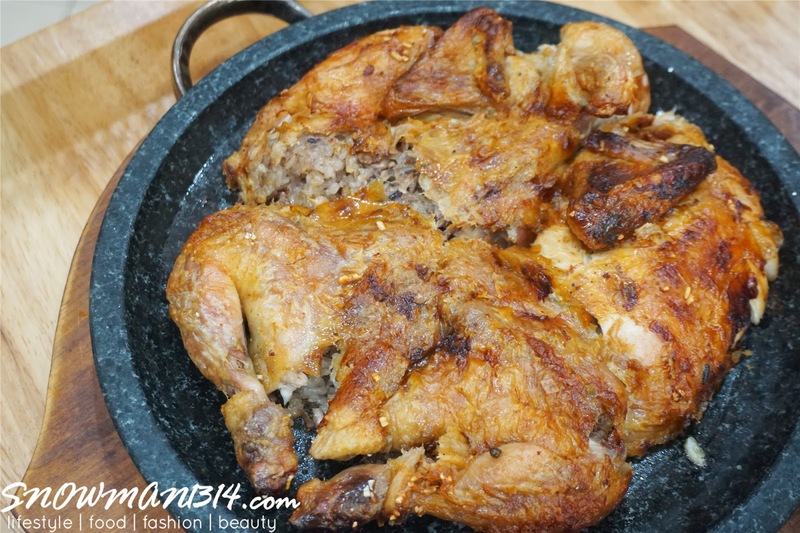 After all, It will take out and cut the chicken in half along its belly in order to cook the rice well on the pan. The reason why this process is important is that a curst of scorched rice will be left in the bottom of the cooking pot and it is a call "Nurungji" in Korea. Finally, after the rice is done. It will be served to the customer with variety topping and sauce. 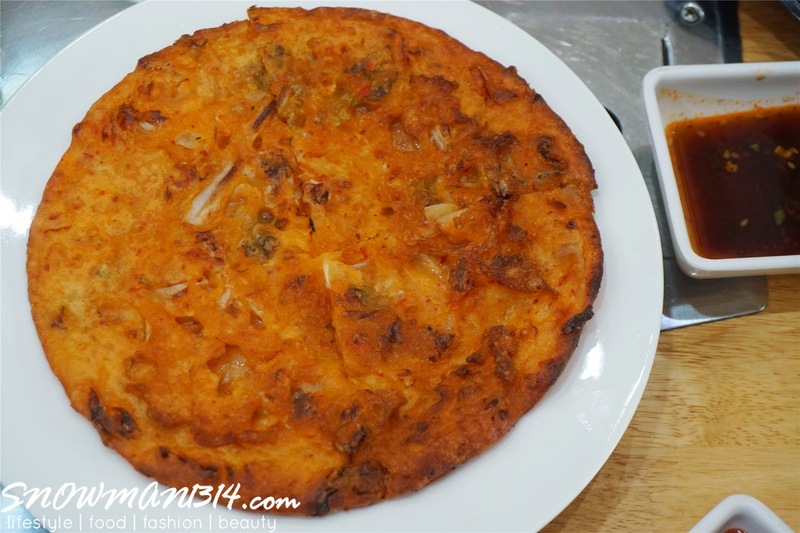 The original Nurungji Tongdak without any topping served. 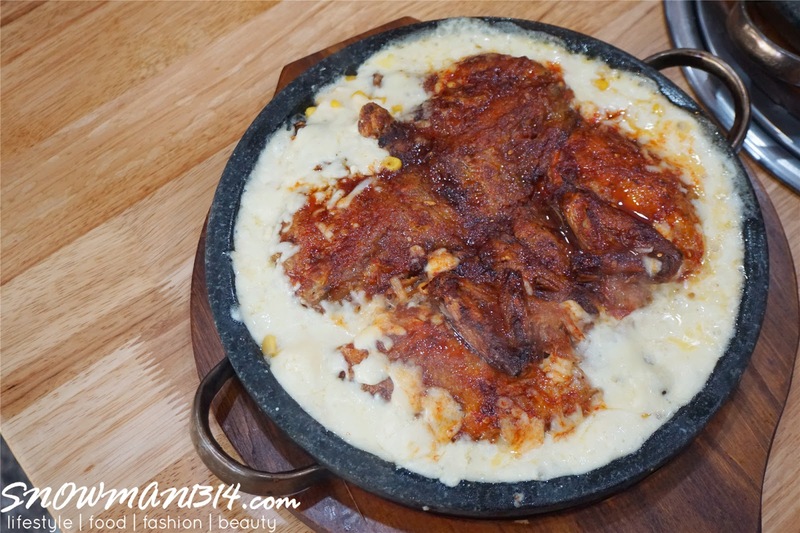 Although it looks dry from the outside, but to my surprise, its actually taste really good with the scorched rice. 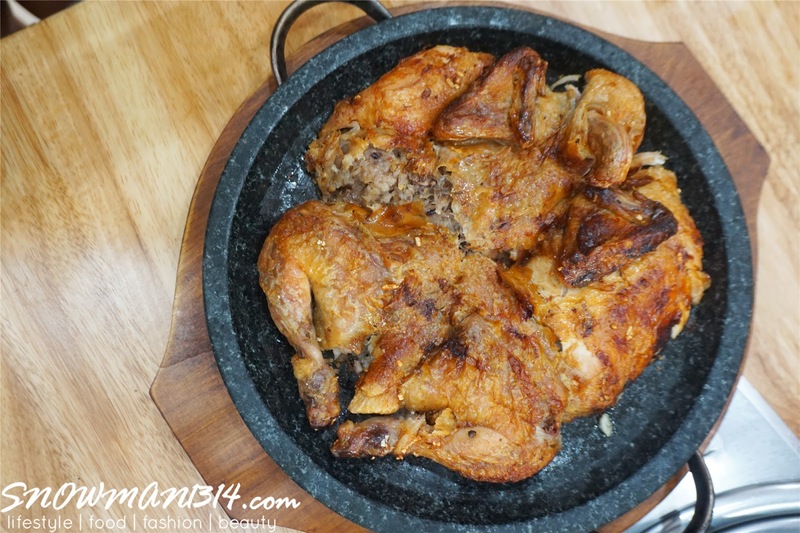 Since it was cook with tremendous of healthy ingredients inside, it does not taste herbs or any weird taste but it fulls with the fragrance and goodness of each ingredient with the charcoal roasted chicken. 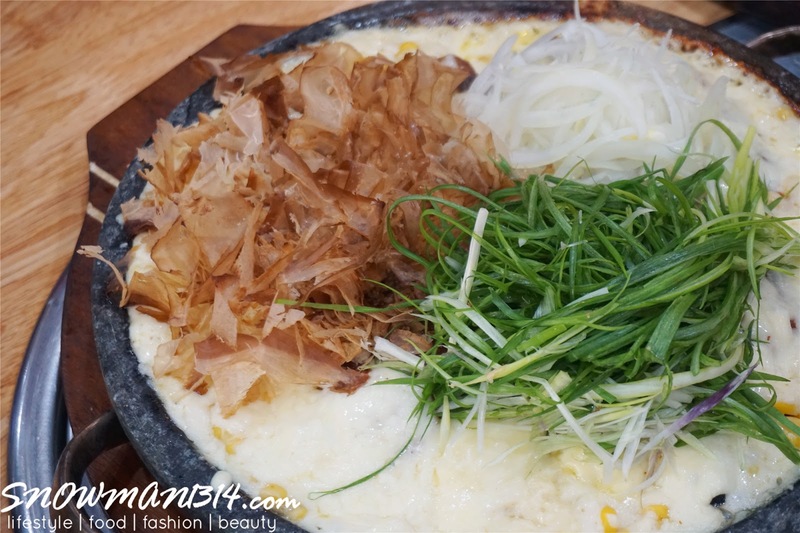 The most pricey serving of Nurungji here that comes with different topping with spring onions, onions, bonito flakes, and CHEESE! I bet a lot of us might be cheese and onions lover. This might be the serving you may like to try. One of my favorite serving! 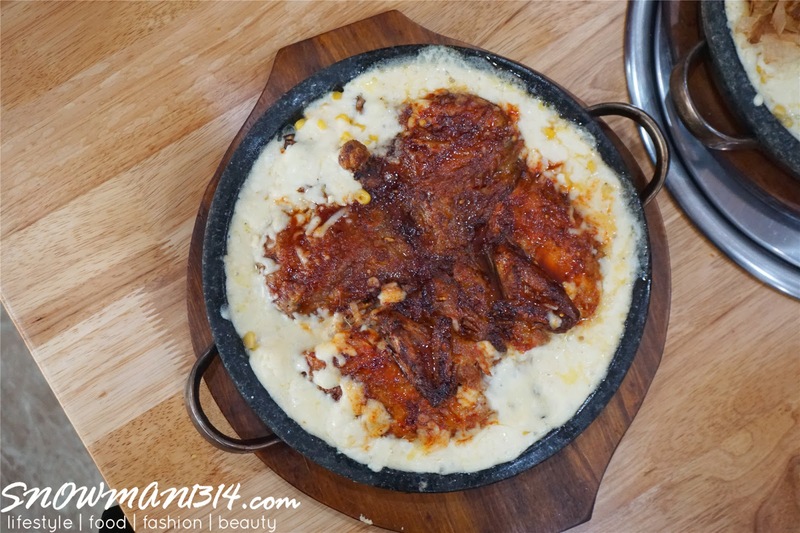 If you are opt with spicy and cheese, this is the perfect serving for you. 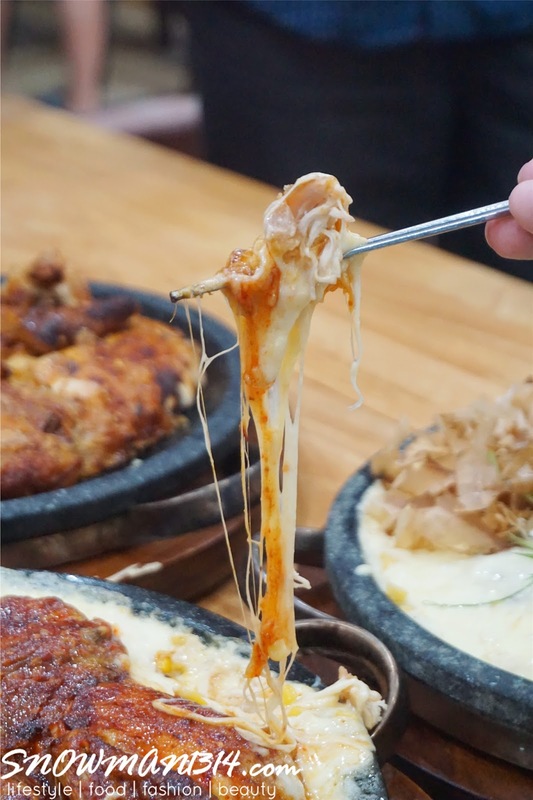 Eat it while the serving is hot where you can enjoy the cheesey sensation along with the nurungji! Each of the Nurungji is well roasted with charcoal. 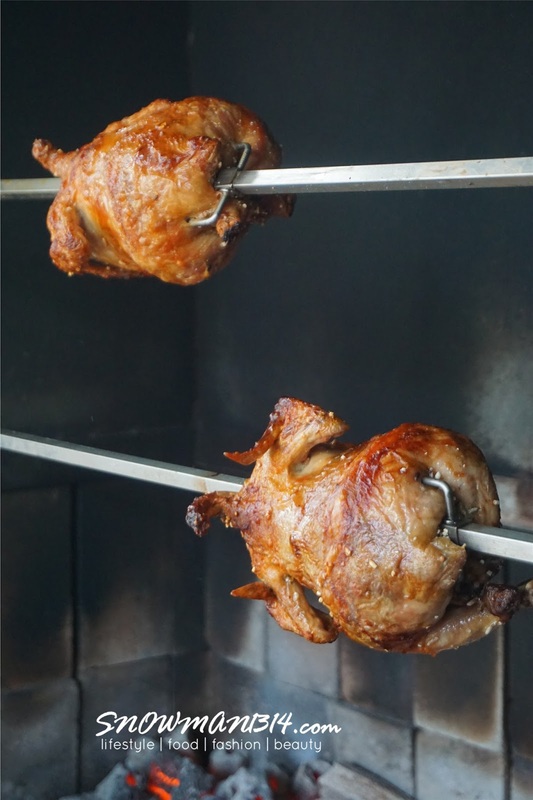 The flesh of the chicken is well roasted and marinated, which it still maintain the tender and freshness of the chicken. They will start the roasting session 11 am each morning where you don't have to call for booking when you want to dine in Hwa Ga.
Hwa Ga has 5 outlets among Klang Valley and Selangor. It's really convenient to enjoy their ala carte buffet at their outlets. 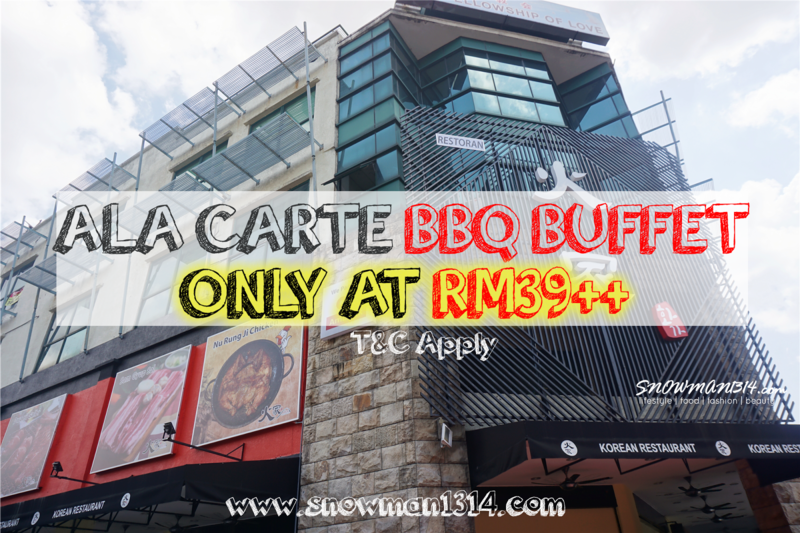 Do check out if any of the outlets are nearby to your house area and you might be able to enjoy this super cheap and affordable ala carte buffet! Address: R-08 1st floor, Oasis Square, No 2, Jalan PJU, A/7A Ara Damansara, PJU 1A, 47301 Petaling Jaya, Selangor. Address: Dataran Mentari Sunway, 28, Jalan PJS 8/18, Bandar Sunway, 46100 Petaling Jaya, Selangor. 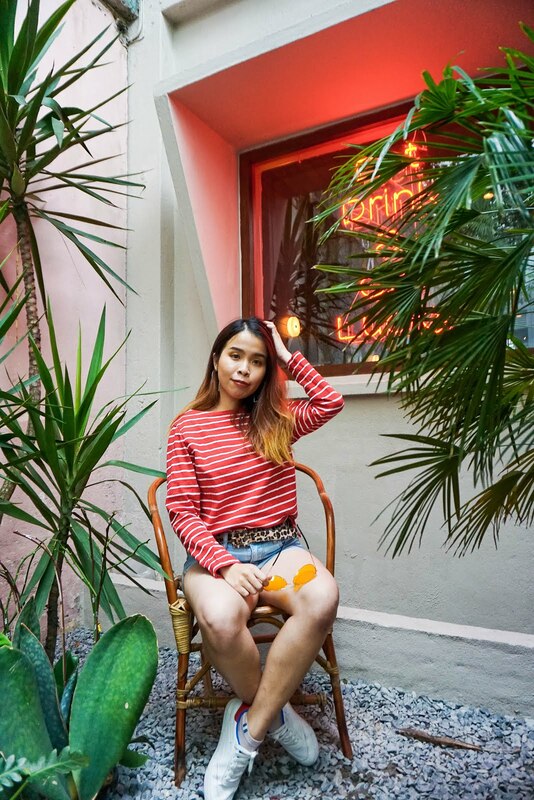 Address: 55-57G, Jalan Radin Bagus, Sri Petaling, 57000, Kuala Lumpur, Wilayah Persekutuan Kuala Lumpur. Address: 7, Block K Soho KL Solaris Mont Kiara, 504800, Kuala Lumpur. Address: Lot F05 Empire Gallery Heritage Lane No2, Jalan PJU 8/8, Damansara Perdana, 47820 Petaling Jaya, Selangor. omg looks so gooooood! And buffer price not too bad leh! Must drag my bf go makan one day, thanks for sharing! Yes definitely will make way back to Hwa Ga! Thanks for recommendation - I know a few friends who would love to try the food. Remember to bring them along! The price is quite affordable. Sadly it's not halal or i would've love to try for myself. Love your photos! Yes it was a sad news for Malay! Thanks love! 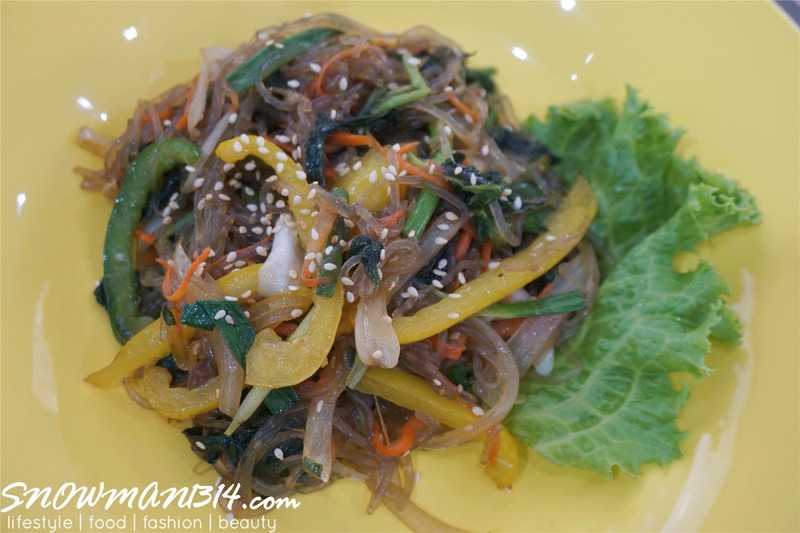 Not a fan of Korean foods but this look yummy! The portion is generous and I love Korea BBQ. The price is affordable too. IKR!! Exactly time for some nice Korean BBQ Meal!! The food really looks delicious. The price is affordable too especially I have 5 kids with me. this is really really good deal! 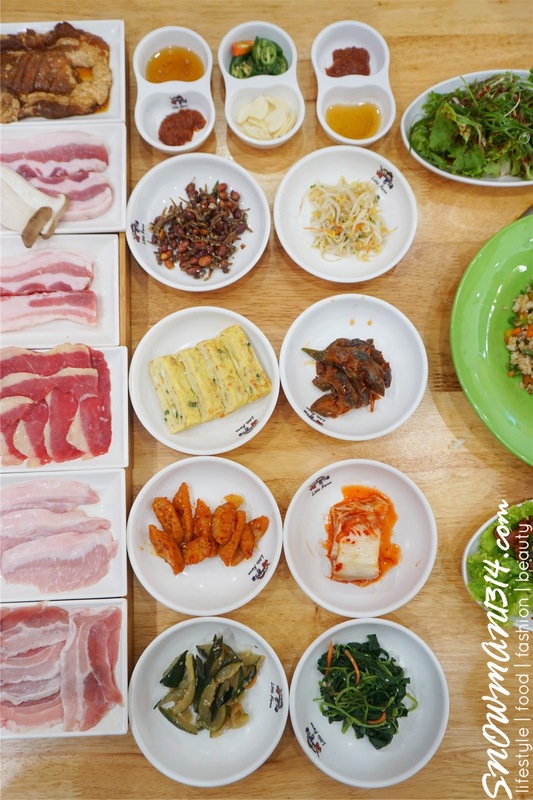 will definitely try this buffet if i have chance as i am a big korean food lover! Well that's sumptuous! You now made me hungry! That melted cheese looks so tasty!